Halfway to the sky sits a tiny village of little white houses that has attracted the ire of the White House. The village of Amona with its small white houses and red roofs could easily be mistaken for some lost Italian village or a dusty California town. But the White House would not have “boiled in anger”, as one anonymous official claimed, over the doings of some Italian village. There’s only one place on earth that makes Obama’s blood boil. It isn’t Iran or North Korea. It’s Israel. 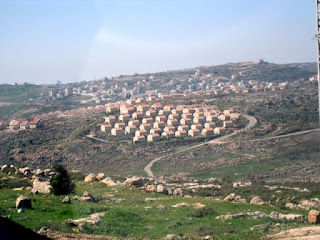 Amona’s small scattering of houses have a fraction of the square footage of the White House. The 40 families living there in defiance of Islamic terrorists and left-wing lawfarers would hardly be noticeable if they all crowded into the White House foyer. And yet they've been condemned by the State Department in more virulent tones than most Muslim dictators. What is it about this handful of Jews caught between heaven and earth that outrages so many? That may be the great question of history. It will not be solved among the sheep pens and orchards, the little white houses of Amona and their inhabitants, who despite the rage of the big White House, continue to go to work each day, to raise their children and to worship in the way of their ancestors. Today Shilo is a city of some 3,500. Like Jerusalem, it is also deemed a settlement. But on the list of places described by Joshua’s men, the mere speck of Amona appears before Jerusalem. But then Amona, unlike Jerusalem, vanished from history. For thousands of years the name would have only meant something to the most dedicated biblical scholars. And then the left went to war against Amona. And out of that hatred the forgotten town was raised up from its forgotten place in history. The handful of families living in Amona have been the subject of more legal proceedings, international debates, threats and international outrage than most genocides. 3,000 feet above sea level, its residents look up at a kind blue sky and down at an angry world that is unwilling to let them live in peace. They meet the challenges of gravity and rage with simple faith. Asked about the threat of Islamic terror, a 5-year old girl answered, "As God helped Joshua, so he will also help us." Amona and its residents need all the help they can get. They have been under siege for decades. What the Islamic terrorists couldn’t do to the residents, lawyers and activists who receive funding from the Soros network and assorted international left-wing billion dollar organizations, strive to accomplish. Demolition and eviction orders have been issued. Police have converged on the handful of buildings with clubs and yells. In one such battle a 15-year-old girl, whom we only know as Nili, stood in their way. 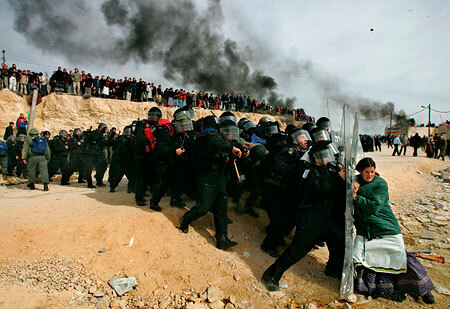 The image of the teenage girl blocking the path of dozens of riot police in black became a Pulitzer Prize winning photo. “Anyone who looks today at the ruins of the houses in Amona - understands that in this operation there was no sense whatever, except destruction,” she said in an interview. There is still no sense whatsoever to the war against Amona except destruction. It isn’t about the land. The children of Israel’s small towns and villages excite such unnatural fury from left-wing notables. 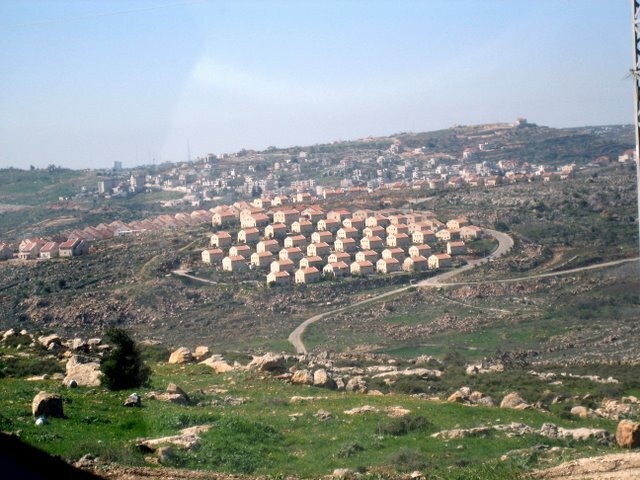 Under pressure from a radical left-wing judiciary, Israel’s government decided to relocate the families of Amona by building houses for them in Shilo. It is this which reportedly made Obama boil like a little teapot. 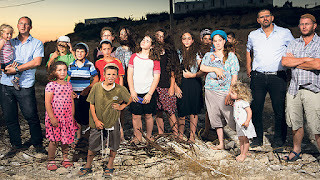 The Jews of Amona are not to be permitted to live in their town. Or in any other. According to some anonymous official, the plan to build houses for the evacuees in Shiloh is “of great concern” to the White House. Anyone wondering why Obama isn’t concerned about ISIS or the economy had better realize that his eye is firmly fixed on a small town in Israel up against the bulldozer. And he’s determined to see to it that the bulldozer wins. State Department deputy spokesman Mark Toner claimed that building 98 homes would endanger peace. Peace in Israel is as dead as the dodo. But somehow it never seems to be endangered by any amount of Muslim suicide bombings, stabbings or rockets. The Palestinian Authority funds Islamic terrorism by paying salaries to terrorists using taxpayer money dispensed to them by Obama. And this butchery of Jewish families and massacres of Rabbis in no way endangers peace. State has a point. 3,300 years isn’t quite perpetual, but it’s a lot longer than Toner has been hanging around D.C. It’s a long longer than appeasers who know not to eat with their left hand and to curse Israel when visiting Muslim countries have been sliming their way around Foggy Bottom. 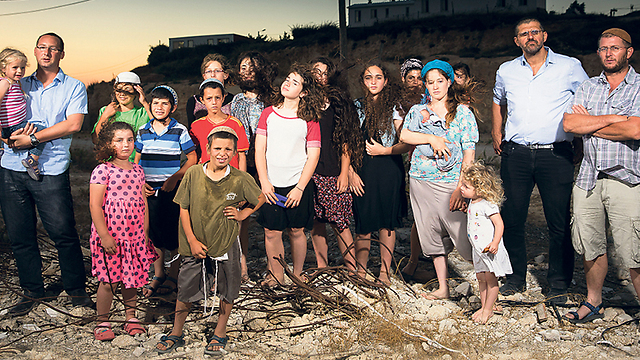 Can a few dozen families really “block” the rise of an Islamic terrorist state in Israel? During Israel’s War of Independence the small village of Kfar Darom held out against sustained assaults from the Muslim Brotherhood. Among the Muslim Brotherhood terrorists was an Egyptian Jihadist named Yasser Arafat. Moral courage enables a handful of people to do what the massive array of government cannot. Nili explained her actions by saying, "You see me in the photograph, one against many, but that is only an illusion. Behind the many stands one man... but behind me stands the Lord.” Today that man is Barack Hussein Obama. The residents of Amona stand in the way of his dream of an Islamic Palestine. Who are the people of Amona? For the most part, they are children. Amona has nearly 200 of them. 5 children are on the small side for a local family. Today Amona could pass for a village, tomorrow it’s a town and the day after it’s a city. That has been Israel’s history. In a world where the great cities of civilization are overrun by the terrible tide of Muslim demographics, it is a place whose people still believe in the future. Such little villages full of white houses with red roofs are fortresses of hope. In Amona, you will find deer meandering through the street. The Nizri family, with eight children, sees to the casks of French oak in the winery. There are raspberries to pick, tools to mend and a life to build. It is not mere height above sea level that enables the people of Amona to tower above their enemies. It is their determination to live lives of ordinary courage. They have attracted the ire and enmity of some of the most powerful people in their country, their region and the world. And yet they go on. Obama boils in his anger like a lobster in a pot. The UN Security Council has scheduled a special meeting where Israel will be denounced by the likes of Venezuela and Angola. And in Amona, the children play. Instead of giving the Sinai back to Egypt, it would have been better to move all Muslim inhabitants of Gaza, West Bank, and the rest of Israel to Sinai. Then let them decide for Egypt or independence. This vile man, Obama, LOATHES Israel. He's demonstrated that over and over and over. When all is said and done among the nations of the World - Israel will be the last nation standing! Stand Strong! The God of Israel is still on His Eternal Throne! What's the point of negotiating w/fascists like muslims or their puppets in the District of Criminals? It's obvious what they want and all their peace deals are merely working towards that end: the destruction of the Jewish state of Israel. Maybe a thousand, Israeli, nuclear tipped ICBM's would change their corrupt, criminal minds. "denounced by the likes of Venezuela and Angola"
Dhimmī is a term referring to non-Muslim (ie Jews) citizens of an Islamic state. The word literally means "protected person. Dhimmis had their rights fully protected in their communities, but as citizens in the Islamic state, had certain restrictions. It was obligatory for them to pay the jizya tax duties, and did not enjoy certain political rights reserved for Muslims, but were otherwise equal under the laws of property, contract, and obligation. As a Muslim President, Mr. Obama regards Jews as dhimmis: loyal subjects who live to serve him. Shame to destroy such nice houses and such a nice community. Lots of people could have a happy life there. We really sick about this Muslim Garbage. Time from him to go to hell.and not to push himself in none of his business. It is consoling that the worst president in US history is almost done with office. The damage he has done to weaken this country (and global stability) is severe. Hopefully his political successor will lose the 2016 US election since it is apparent how utterly corrupt a person she is. Bear in mind, he loathes English "colonialists", and ‘imperial’ England to his mind, (remember, he sent back to England the previously gifted bust of Churchill) (kind of like lifting his leg, or maybe squatting, to mark his territory, and announce arrival and just whom he thought he was! ), which certainly isn't, as with Churchill, one of history's greatest greats, (which to the uneducated, brainwashed-but uneducated one, was personally offensive-leading, as always of course, by marching backward!!!!) and note well Brit Hume's 11-2-16 revealing details of college follies, regarding the 90% paucity of knowledge of history, and the paucity of ability to read, sadly particularly of black college students, I believe Brit stated. And otherwise the state of education is thus generally well known, in today’s state of generally failed education, at all levels, why college degrees are now losing their former luster. In his beginning of his regime, he had only once announced almost in joking or in passing, to black young that “it is ok to be like a white, and study and learn and become learned” but that didn’t go far. He said it and got rid of it. So this weekend just finished a hellish month of carnage in his “home town”. So much for learned!! Hell, I can easily believe he has, in his own mind, that being white is a crime, and Christian even worse……..Let alone being Jewish, or both……Yes you can be! I see well, the rot of the heart and soul he has brought to America, and the West. Even to the territory he thought he knew well, but as usual, didn’t, too. I pray for G-d also, that Hummingbird’s comment shall remain always true. The name and works of that satanic cur is destined for the ash-heap. Pox on him and his descendants. This has nothing o do with this great piece. It's going on your FP bit about the Dems attacking the FBI. I couldn't find another way to make contact. Isn't anyone going to contrast this with the Army/McCarthy hearings? Regarding the 15-yr old girl named Nili---Nili is an acronym for “Netzach Yisrael Lo Yeshaker” (The Eternal of Israel will not lie). NILI was a secret, pro-British spying organization, which operated under Turkish rule in Palestine during World War I, under the leadership of the world-renowned agronomist Aaron Aaronsohn. NILI is an acronym for the Hebrew phrase “Netzach Yisrael Lo Yeshaker,”meaning The Eternal One of Israel will not lie (Samuel I 15:29), which served as its password. The spelling has been anglicized, and is usually spelled ‘Nily’ now! This little girl has a very significant name! My name is Linda Cohn. I don't know my URL so I posted as anonymous. pretend Hillary will be different. You are putting your social welfare benefits (i.e. money) above the safety and security of Israel and the lives of its citizens. There is no comparison between the support Israel will get from Trump vs. the grief it will get from Hillary. • chooses as her closest advisor and friend, Huma Abedin, whose family has been linked to the Muslim Brotherhood. (Huma Abedin’s mother sits on the Presidency Staff Council of the International Islamic Council for Da’wa and Relief, a group that is chaired by the leader of the Muslim Brotherhood, Sheikh Yusuf al-Qaradawi. and she founded an aid organization called the International Islamic Committee for Woman and Child, which at one point was said to be affiliated with International Islamic Council for Da’wa and Relief. IICDR was banned in Israel years later for allegedly supporting Hamas, a Palestinian offshoot of the Muslim Brotherhood, under the auspices of yet another group, the Union of Good. The Union of Good was designated by Treasury in 2008 for aiding a terrorist organization. • supports the Iran agreement which paves the way for Iran to acquire nuclear weapons. • is $25 million in debt to Saudia Arabia for their contributions to the Clinton Foundation. You who pray three times a day for the peace of Jerusalem - is absolutely abominable. Give me a break, you are making excuses to sell Jerusalem out for money. Do not forget Jerusalem; do not forsake Jerusalem. What happens to the Jews of Israel will happen to you next - beyond a shadow of a doubt. The Jews of New York and Florida alone can go a long way towards electing Trump. money/welfare benefits or Jerusalem. The choice is yours. RObin Ticker's mitigating comments to Linda Cohn's post. Very Strong Letter to Orthodox Jews by Linda Cohn if They Vote for Hillary or a Write In Candidate. First let me preface by saying that this letter is not easy reading. It is accusatory and does not put us Orthodox Jews in a positive light. Calling us "prostitutes" is not exactly complementary. So why would I put such a strong accusatory letter on my blog? Perhaps because I have been listening some of Alon Anava's videos on youtube. Please google him. Here is one video clip https://www.youtube.com/watch?v=Ee3UTF4pOlE I recommend them highly and they have changed my entire outlook about things. Alon Anava experience a NDE, Near Death Experience. His youtubes are fascinating and I am convinced beyond a shadow of a doubt authentic. He could not have made it up. As for me, so many truths that I had second guessed, thinking....perhaps my perceptions were off, perhaps others know more than I, ....were in fact strengthened. Listening to him makes one really understand that up in heaven we can not hide behind the truth. We will be judged according to what is the truth and we will not be able to hide. Our deepest suffering will come from understanding the long reaching consequences of our actions and we will be terribly embarrassed by our choices because we disappointed G-d, we disappointed our fellow Jews and we disappointed G-d's great expectation of us. No words were able to describe the deep emotional pain our Neshomas experience in a heavenly court when the ramifications of our deeds are shown in a blinding light and we realize that we messed up. He explained that any suffering in this world is so much more worth any suffering in the world to come. Better we correct our sins now then later in spite of our temporary discomfort or embarrassment. The tremendous spiritual pleasures we can earn in the world to come is also not comparable to anything down on this earth. Rabbosai.... We have 2 days to see and share the truth. We have 2 days to put our vote for Judea and Samaria and our rights to settle all of Eretz Yisroel our Biblical Homeland, for Jerusalem and for the Torah which is consistent with the platform of the Republican party. Or we can vote for the party that is intimate with the Muslim Brotherhood, with a candidate and party that funded ISIS and made ISIS great and powerful. with a Candidate that has empowered a nuclear Iran. With a candidate who speaks of rights for women and children and means Planned parenthood and Population control via abortion and any other means. Our Sages say that in the Desert the women refused to give of their Jewelry to the Golden Calf. I see Linda Cohn from the Levite tribe acting as did her ancestors, full of pain, watching the men, leaders in the desert prostituting to the Golden calf . She is begging the Rabbinic Leaders not to follow in the footsteps of the Miraglim, the Spies who spoke poorly of our precious Land.